As you probably know by now, fall is my favorite season. I genuinely love everything about fall fashion; booties, riding boots, chunky scarves, and dark colors. Today though, I decided to choose an outfit that was a bit brighter, mixed with more bold sand dark pieces for fall. 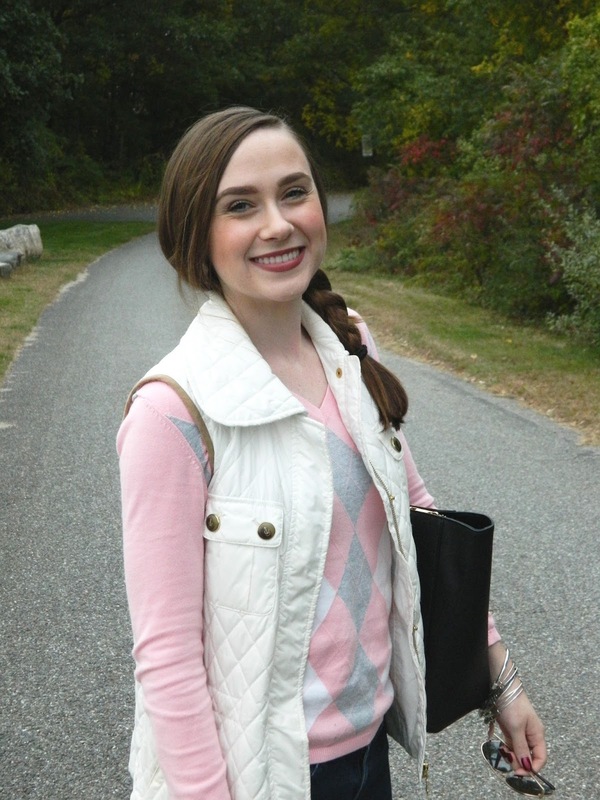 I'm a longtime lover of pastels, and even though it's fall, you can still wear your favorite pastel pieces if you style them correctly. 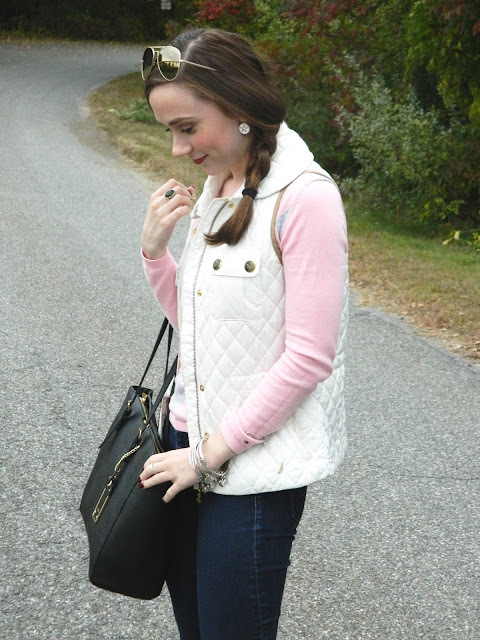 Although I've always seen pastels as spring and summer colors, they can easily transition into fall! Side note: how cute is my (super affordable!) new bag?! This one is super similar. Obsessed. 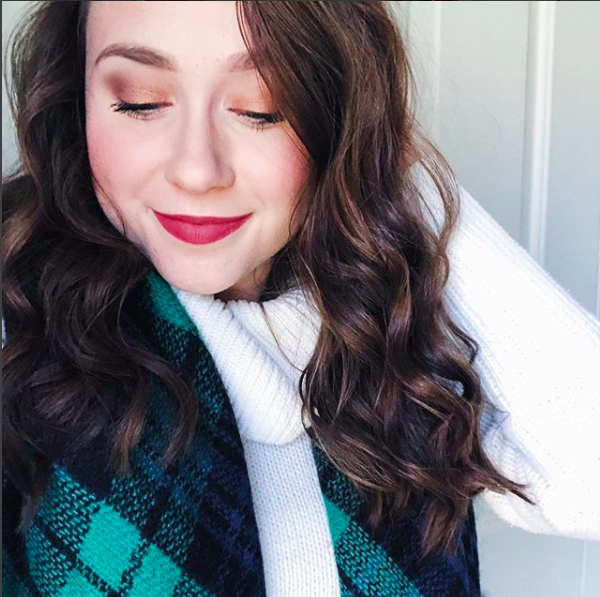 I'm currently obsessed with argyle print. This sweater is so adorable, and I love the pink and grey colors together. It also comes in a few other colors! 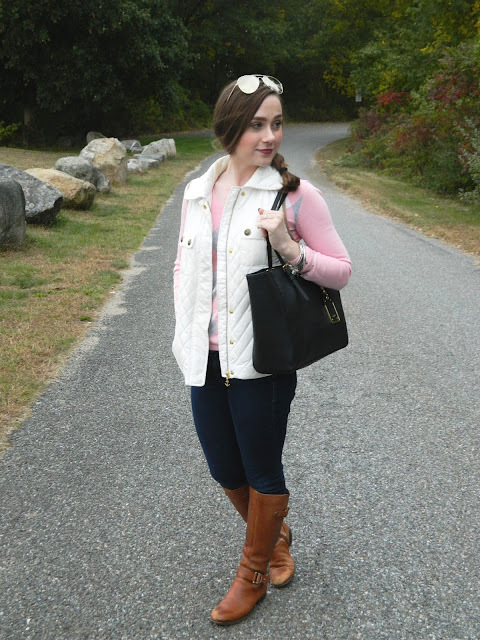 I decided to pair it with this cute white vest, as it made the look more appropriate for fall. 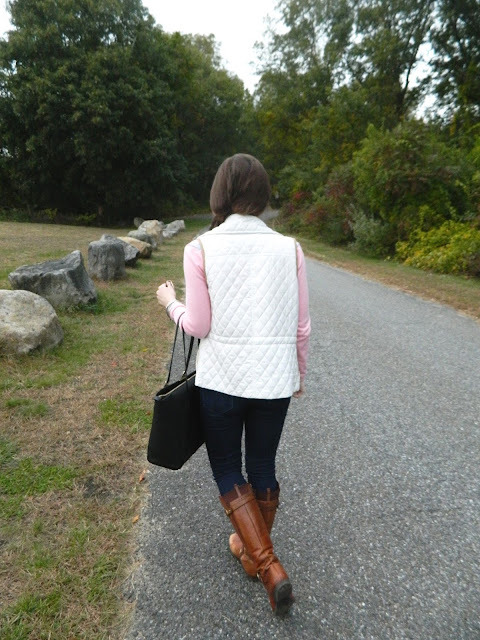 A great way to show off your pastel pieces in the fall is to pair them with more fall-esque pieces, such as vest, scarves, or jackets. You guys may already know that I'm obsessed with these jeans. I'm not much of a jeans girl, but these are the most comfortable jeans I've ever put on! You can usually find me in leggings and big sweater during the fall months, and dresses and skirts during the summer, but I'm so glad that I've finally found a comfortable pair of jeans that I love. 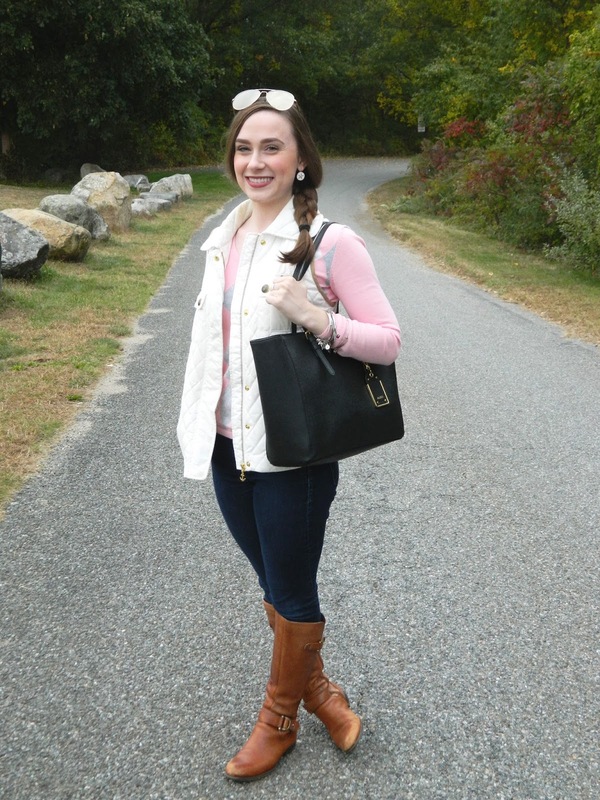 I paired this outfit with a cute black tote bag, which I think it perfect for fall. Lastly, these boots are my favorite riding boots for fall! I have no idea why it initially took me so long to buy a good pair of leather boots, but I definitely think everyone needs one. I've already had these for a few years and they're still in amazing condition. I love this outfit! The vest is so cute! You always style everything perfectly. Those jeans look great on you. Loving these colours on you! Great post. 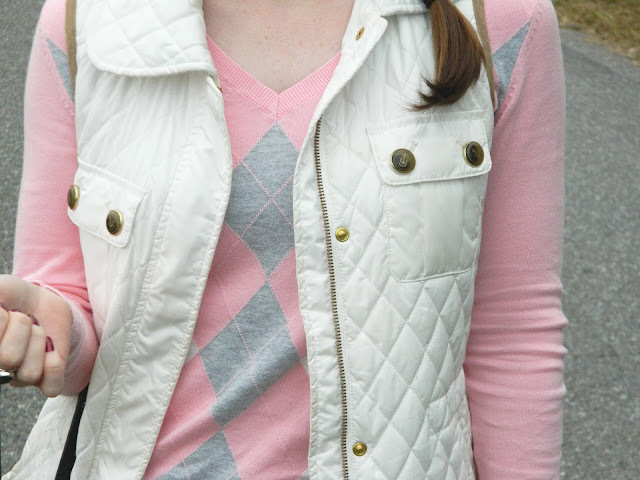 You look too cute in pastels! I always wear black clothes in winter and fall, but I have to change this, black colour makes me feel somehow miserable! Pastels look so good on you, love your outfit!